Home › Shopping › Shop Online and Raise Funds! Raise funds this with no added cost to you! I’d like to share with you a new way you can support us – at no extra cost to you. It’s called Give as you Live, and all you have to do is shop online with your favourite stores, just like you already do. Give as you Live brings together thousands of retailers that have signed up to donate to Ieuan The Lion Memorial Fund a percentage of every online purchase you make. 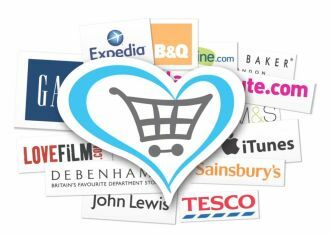 Just by shopping online with stores including John Lewis, Play.com, Expedia and Amazon , you could raise as much as £50 and more for Ieuan The Lion Memorial Fund, without adding to the cost of the shopping. So why wait? Head to Our Shop today and support us every time you fill your basket!